Hi Friends! I am so glad you are back! 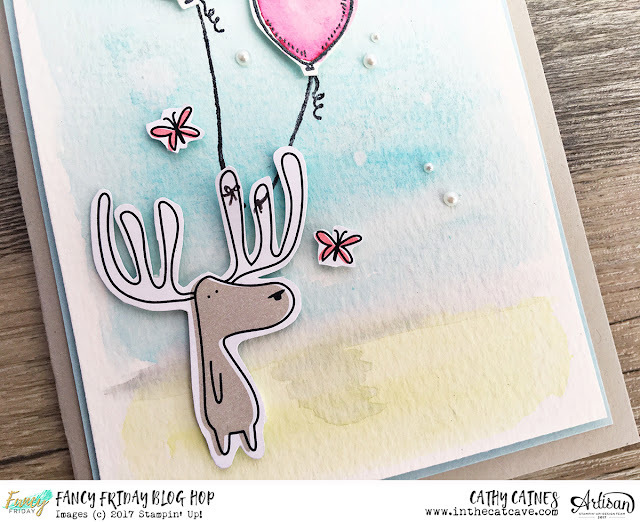 I had great plans when we decided on this month's Fancy Friday blog hop theme: A Work of Art. The idea is not to have a sentiment on the front of the card. I pictured watercoloured overlapping flowers intertwined with berries covered in pearls. Maybe even no line watercolouring. Instead, I couldn't stop touching my new stuff. New stuff that I intended to use for my party theme at TGIF Challenges. We are celebrating our two year anniversary! Go us! Two Birds. One Stone. Others might say. The Moose is not a stamp. I cut it out from some Designer Series Paper. The ballons were water coloured and so very very cut. Those butterflies. So cute. Those are paper too! What a cheat, I am! The background was created using aquapainters using soft sky, old olive and sahara sand. Not too fast my little sweet pea. Inside, I cut out this little bunny. That's when you can have this paper too. 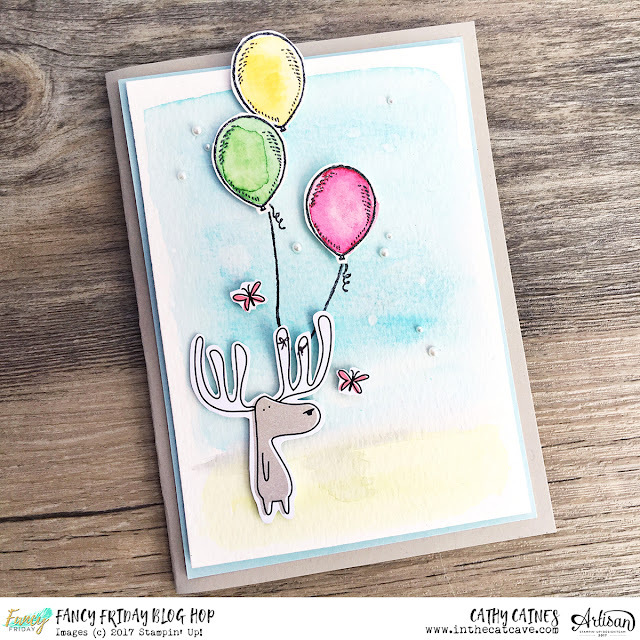 Now hop your cute little buns over to my amazingly talented friend, Jen Timko! Oh, that moose, I just adore him! 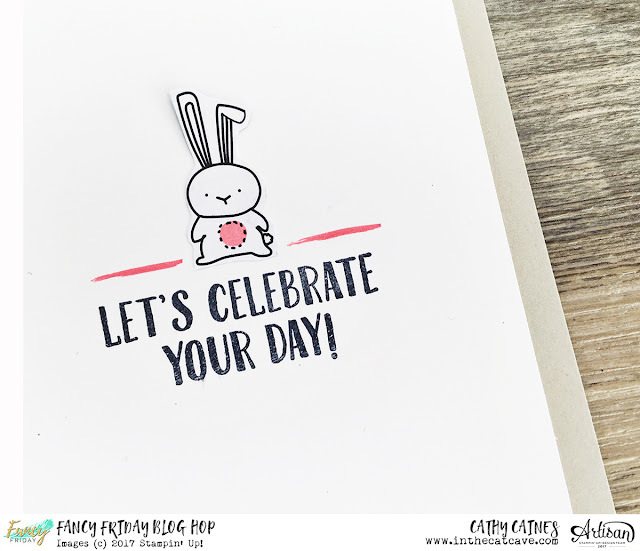 Just love your sweet little card! Of course you made me like the moose. I want to be you when I grow up.